Sorry I haven't posted in a while. I lost my creative "Buzzz". It is slowly coming back. I thought I would color a sheet of the new Petal Passion Designer Series Paper and see where that took me. This paper is so gorgeous...I love it. 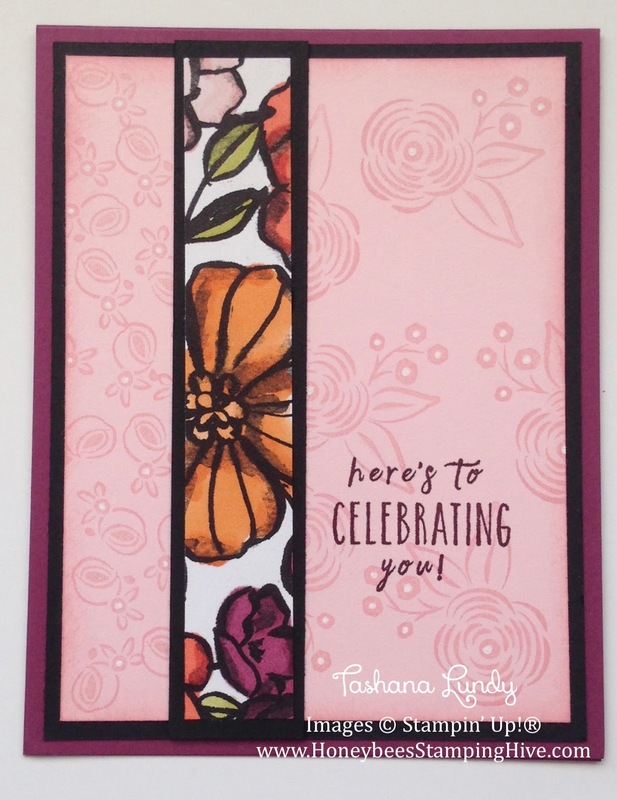 I love coloring, especially with the Stampin' Blends. I created a One Sheet Wonder (OSW) using up the entire 12" x 12" sheet of DSP. I will be sharing the cards I made from this OSW all this week. Here is the first card, along with the OSW template. THE OCCASIONS CATALOG IS LIVE!